Let’s Put Some ‘Cool’ into Marketing! If you're an advertising agency or public relations person, then you probably understand the importance of advertising to promote your brand. In a world full of noise, making a lasting impression can be very hard. Marketing managers are always looking for a way to stand out and create unique branding opportunities. Here at Bean Bags R Us, we design novel and fun-filled branding solutions for special events all over the world. Our bean bags are colourful, trendy, comfortable, and perfect for promoting your brand. Capture People’s Attention – Quickly! What do you want people to associate you with when they see your business logo? Friendliness? Comfort? Luxury? Fun? Then forget keyrings, pens, notepads, balloons, branded snacks, hats or water bottles - people will appreciate them, but they’re not going to be blown away by them. What people aren’t familiar with, though, are designer bean bags. Most people have never seen them before. 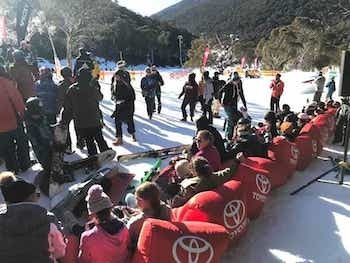 Cut through the clutter, and stand head and shoulders above the crowd by having your brand dominate the coolest place at any event – where the beanbags are! We’ve seen the evidence at so many events - heads whip around and focus on your bean bags. They’re drawn in by them, want to sit on them and snap photos as soon as they spot them. No matter where you use your bean bag chairs and bean bag lounges, your guests, patrons and customers will always love them. 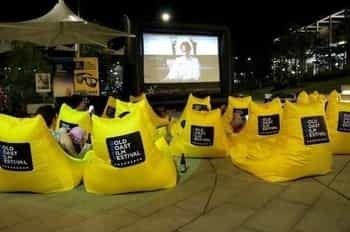 Outdoor bean bags provide cost-effective solutions to outdoor seating at events, outdoor cinemas, concerts and public open spaces. Bean Bags are comfortable, lightweight, easy to transport and they add colour and fun. But you can also make them yours by adding your company name, logo or slogan. We pride ourselves in being corporate Australia’s number one resource for top-quality branded beanbags. Your potential customers and guests will admire the quality and craftsmanship of our superior bean bags. At the same time, you can increase your brand recognition wherever you choose to use our versatile beanbags. A great business investment! Our personalised bean bags solve multiple problems simultaneously! Cost-effective seating and cost-effective advertising. And we can deliver them real fast! B2B or B2C – we keep the best company! When Moët Chandon, one of the worlds' oldest and largest producers of fine French Champagne chose their branded beanbags, they chose Bean Bags R Us. Many businesses both nationally and internationally have selected our products to promote their brand. Here's a list of some of the companies who have benefitted from our personalised bean bags. Since 2011 we've been manufacturing purpose-built outdoor beanbags. Since then we've been researching the best fabrics, the most comfortable styles and of course the most popular colours. Below is a list of features and benefits that separate our products from our competitors. The fabric is protected with an Ultraviolet Protection Factor (UVPF) of fifty plus. All seams are double-stitched and overlocked. All zipper handles are removed to comply with Australian Standards. Most of our products can be easily spot cleaned with antibacterial wipes or a damp sponge and mild detergent, or we can clean them for you. Our styles are incredibly comfortable. Most of our products have carry handles, so they are easily relocated. We stock an extensive range of colours, and we maintain large quantities of stock. Bean bags are not just extremely comfortable; they are also practical, affordable and they look good! Most beanbags weigh less than five kilograms, so you can quickly move them around. There's no jagged edges or hard surfaces on which your customers can injure themselves. They're suitable in almost any environment, and all age groups love them. And there is an abundance of styles and colours to choose. Our products are manufactured using premium quality materials. 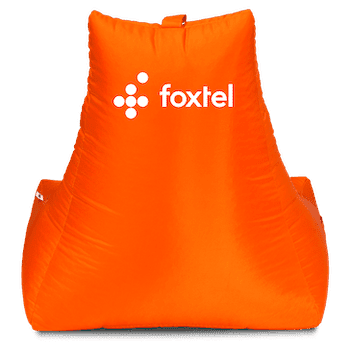 The durable construction ensures your beanbags will last for years..
With your brand name featuring prominently on the front or rear of a beanbag, your customers will instantly associate you with being cool. And there are so many places you can use them! Sponsoring events is an inexpensive method of getting your brand seen in your local community. Finding a function that is relevant to your service or product is simple. You can check with your local community centre, online or via social media. For example if you sell health supplements look for gymnasiums or sporting events. 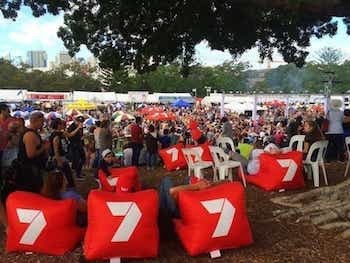 Wherever there's a crowd, there's an opportunity to promote your brand on a beanbag chair. After you've found a suitable event, contact the event organiser with an offer to provide additional seating. You may even be allowed to display your products or distribute flyers! How many times have you attended an outdoor sporting event and there were no seats? The organisers will always welcome some beanbags! And so many people will see your name! To keep potential customers in the vicinity of your promotion or demonstration, offer them an amazing place to rest and enjoy your presentation. A bean bag is a fantastic cost-effective corporate gift for any occasion, and with your logo close at hand, your brand will stay on the recipient’s mind. When you're planning your next giveaway or competition, why not give a custom printed beanbag with your logo on it as a prize? You'll see increased participation and brand awareness. Seminars and conventions can be rather dull at the best of times. You're either sitting in a plastic chair or standing. How much better would it be if the participants were relaxed and comfortable? And you don't have to hire furniture! Let them take the branded beanbag home to promote your brand further. Order Now and Get Your Printed Bean Bags Delivered in a week. Our dedicated team will assist you in creating a seating solution. We can send your custom printed beanbags flat-packed or pre-filled just about anywhere in the world. We can even gift wrap them! Don't miss out on this outstanding opportunity to promote your brand! 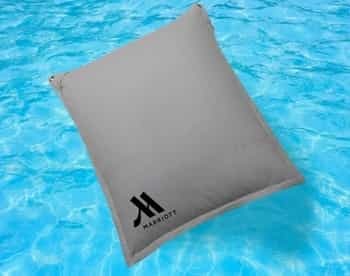 Our branded bean bags will be a hit with your potential customers and guests. Bean Bags R Us is Australia's largest manufacturer of stylish bean bag furniture. For commercial quantities and special orders, we can have your beanbag filled and wrapped ensuring they arrive looking brand new. We have extensive experience in transport and logistics, and we look forward to working with you to get the job done painlessly. We have a wide selection of Pantone matched colours, and we can also make custom beanbag covers to your colour specifications (minimum order quantities may apply).